Beaches. Sometimes stencils, sometimes grenades. Peace Day. Ever hear of it? Me neither. I’m sure it’s mentioned on the evening news at times but I don’t recall it. Maybe I should. But I found in my research about it, that it is celebrated around the world. A former work colleague of mine recently sent me info and photos of the commemoration of Peace Day. I was surprised to hear of it and glad that she told me about it. 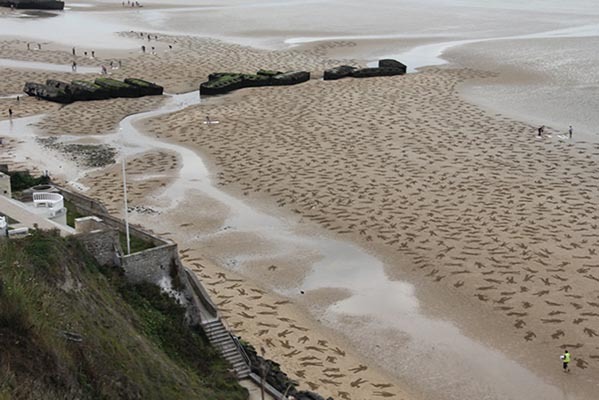 British artists, on Sept. 21, 2013 created a huge commemoration of the fallen on Normandy beach in WWII. 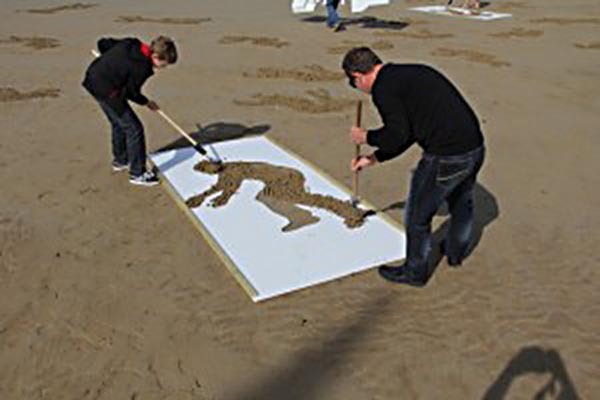 The artists, Jamie Wardley and Andy Moss and other volunteers stenciled the outline of the fallen on the beach at Normandy. 170 churches in the U.S. will celebrate Peace Day on Sept. 21, 2014. The idea began in the U.N. in 1982. But I haven’t seen anything in the way of celebration myself. 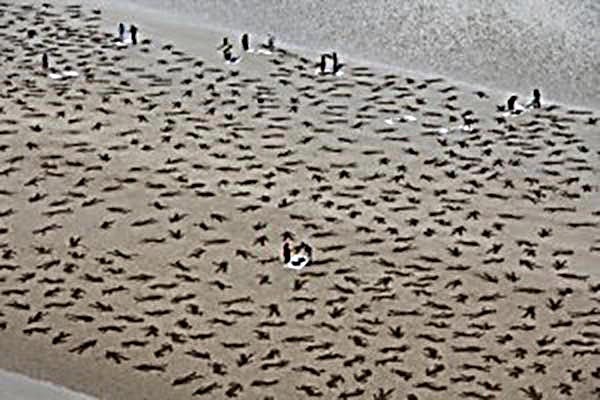 The commemorative work of Peace Day began with a group of 60 volunteer artists to stencil the outlines of 9,000 fallen troops and civilians at the Normandy invasion. Locals heard about the effort and joined in until about 500 completed the project which was named, “The Fallen.” Actual loss figures vary, some much higher. It is said, about 20,000 civilians perished in the softening up bombardments of the pre-landing. Also, 12,000 allied forces are said to have died in the air assaults that previous April and May. What’s most unusual for the commemoration is that this Peace Day honored ALL the dead, civilians and armed forces, Allied and German alike. It was meant to depict visually what happens when there is no peace. The creator of the project, Jamie Wardley noted that there are many monuments to war but none that visualize the individual losses. So he created his Peace Day project. It lasted until the next tide wiped it away, much the same as the lives of those were wiped away in the absence of peace, says Wardley. Peace, novel idea. We keep having a go at it but there is always some charismatic egomaniac who woos the egos of the throngs by promising their deserved power in the world, long overdue, and then leads them to war. People of the world, must you keep buying that snake oil? Peace, it has to start with you, from the bottom up! If you don’t prevail in stopping these maniacs, the sane world must! And then the bombings and the burnings and the maiming and the killings will return…like a relentless red tide. And between tides you and I and countless others can stand side by side stenciling the shapes of our children, our grandkids, onto some far off shore. You do have a choice. I owe the Americans and allies who fell on D Day. I owe them the memory of what they did. 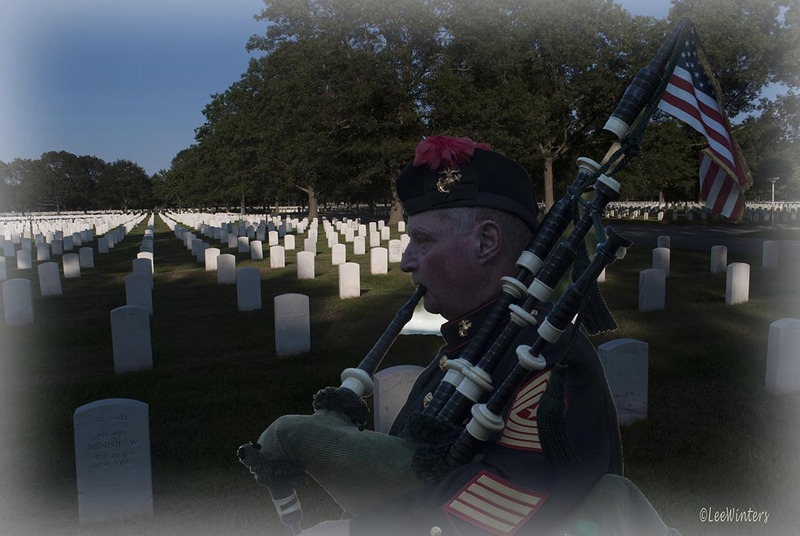 Those troops all left families, families just like ours, to serve for us, to protect us. I wonder how those terrifying moments were as they waited on those Landing Crafts to begin their deadly wade ashore. Did they notice the sea air? 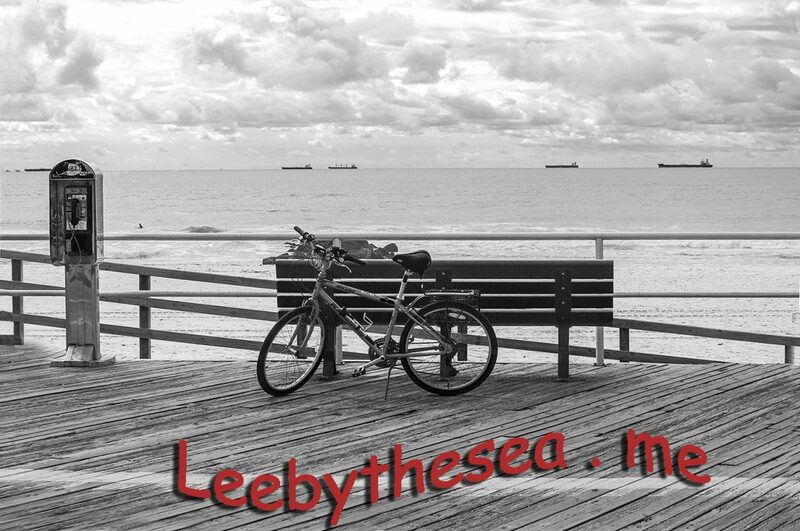 Did it remind them, in a perverse way, of teen years in the Rockaways, Coney Island, the Jersey shore or right here in Long Beach? Were some of them California surfers or Florida fishermen? Those troops who gave all come to mind when I walk our beach. Especially whenever commemorative dates arrive. They come to mind in the sea air I breathe, and the crashing waves I hear, and the misty sea I feel. I owe them that. I do this deliberately from time to time, to reinforce that memory of sacrifices made for me, for my family, for America, for free people everywhere. I appreciate them with every gliding gull my camera captures on my peaceful beach. I owe it to them to think of those peace-less places, those family-less places, those loveless places, where their blood seeped into foreign sands. I just can’t forget, no matter how long ago it was, no matter how far away they were. I owe them. We owe them. America owes them. Humankind owes them. May God bless them & their families!!! !